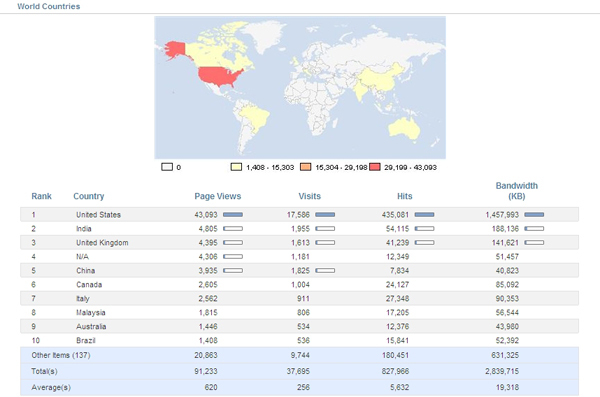 Advanced Website Statistics for your website is an add on service, which you can login and access at http://Stats.Colony1.Net/. You will not have to install anything and everything will be setup by our support team. Your advanced statistics will begin recording from the day it is setup. If you are interested in adding this service to your website, please e-mail our Support Team at Support@Colony1.Net and we will provide you with pricing. Once you approve, we will get your Advanced Stats Service setup and will e-mail you with the login information to access your Advanced Stats account. All of the information below is tracked and can then be viewed, e-mailed, and exported to Excel through Advanced Stats. 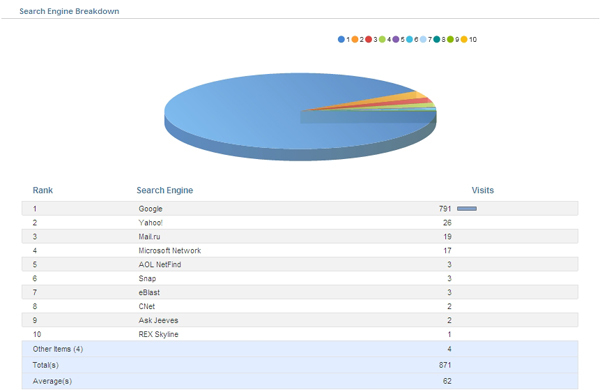 - Daily Breakdown of Views And Visits, Bandwidth, Top Pages, Top Referrers, Search Engines, Top Search Phrases, and much more! 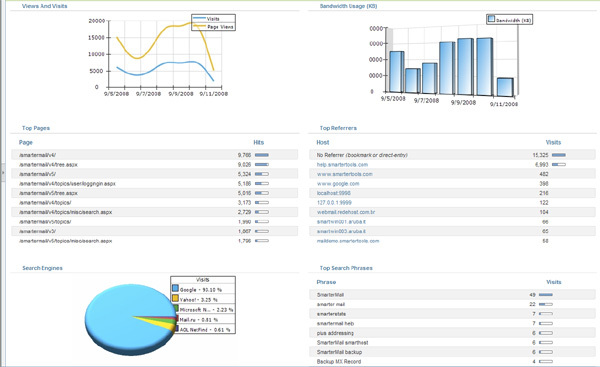 - The ability to identify real traffic vs. spider and bot traffic (Example: Search Engines). 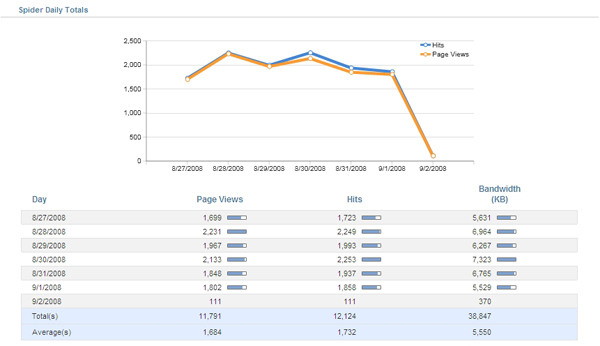 - Determining what pages are being indexed and when, which can help with SEO. - 20+ report items to analyze spider / bot activity. - Geographic analysis by country, state, province, and city.